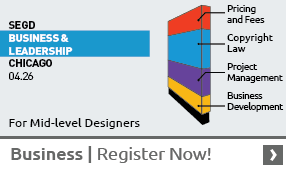 Don't miss the SEGD Wayfinding & Placemaking Event next week! The satisfaction survey for the 2018 SEGD Conference Experience Minneapolis revealed interesting information about what the SEGD community values: 82 percent said that networking was important to them. While "speakers and content" are the most important reasons attendees reported appreciating SEGD events, networking was a close second. 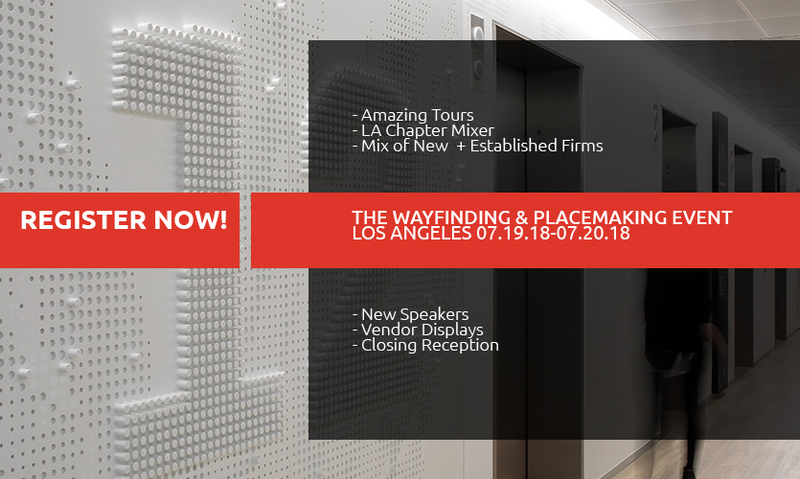 And, since you love networking as much as we do, you're really going to enjoy the built-in opportunities at the Wayfinding & Placemaking event July 19-20 in Los Angeles. Friday will bring additional opportunities to meet your fellow attendees. There will be ample time to chat before the sessions, during the sessions, after the sessions, at lunch and—if you haven't had enough—then join everyone for a closing reception on Friday evening. Our sponsorsmake these opportunities possible, so make sure to chat with them and thank them for their support. Wayfinding & Placemaking is an SEGD event you won't want to miss: Register your team today because space is limited. Current attendees hail from: Selbert Perkins Design, DCL, SKA Design, RSM Design, FMG Design, EGG Office, Suisman Urban Design, Form Media, Rainier, ASG, Altitude Design Office, Zebra Consulting, Miami-Dade Aviation Department, REX, ID Signsystems, Urbanite Frost*Collective, University of Cincinnati, Nikken, Newsom Gonzalez, Mayer/Reed, Walton, SNA, S&H Companies, Artistic Identity, SKA, ASI, Labozan Associates, Mappedin, Kolar Design, Principle, Hunt Design, Sherine Industries, Endpoint, Vancouver International Airport, Art of Context, Poyant Signs, Altitude Office, Corbin Design, Two Twelve, Little, Kate Keating Associates, Drive21, Gensler, Mijksenaar, Denver International Airport, Morley Builders, RDG Planning & Design, GSBS Architects, Color-Ad Signs and Exhibits, Houston Zoo, Metropolitan West, SignComp, Jones Signs, Shannon Leigh Associates, Rios Clementi Hale Studios, Linespace, studio black, Design Workshop, Inc., Alexandria Real Estate Equities, SenovvA, Atwood Consulting, Priority Architectural Graphics, Alta Planning + Design, Artistik Design Studio, The Autry Museum of the American West, Trueform Engineering...and more are signing up!